^ Video: On Tuesday evening September 12 a press conference/update was held at the Town of Pincher Creek council chambers about the wildfire situation. Participants included Waterton Lakes National Park Superintendent Ifan Thomas, Pincher Creek Emergency Services Chief Dave Cox, M.D. of Pincher Creek Reeve Brian Hammond, Town of Pincher Creek Mayor Don Anderberg, Cardson County Reeve Jim Bester, Alberta RCMP Information Officer Curtis Peters, Alberta Agriculture and Forestry Incident Commander Scott Elliot, and Alberta Emergency Management Agency Managing Director Shane Schreiber, and several others who contributed as well. 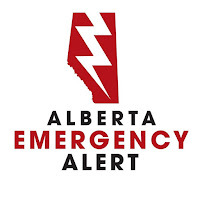 Offer of help: An offer to assist with livestock and other concerns in the event of further evacuations has been extended by a group located north of Castor Alberta. Call 780-385-1817 for more information. 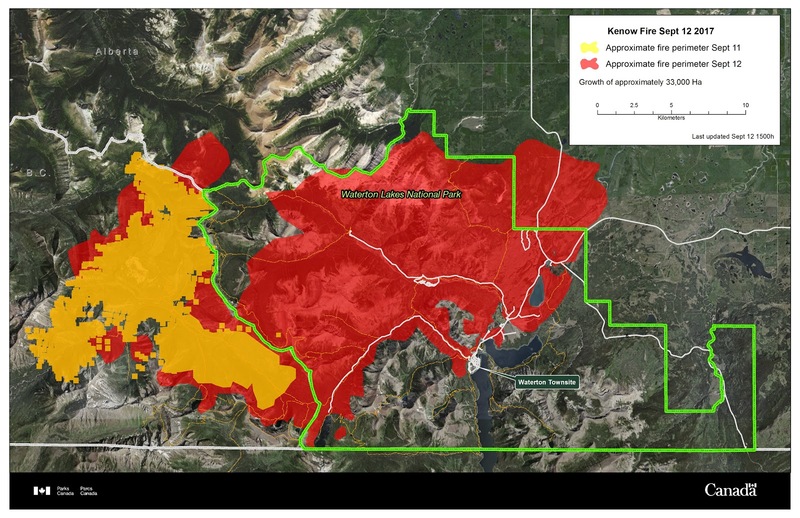 The Kenow wildfire currently covers approximately 33,000 hectares in Alberta, with a total size of approximately 42,000 hectares. A mandatory evacuation order was issued on Sept. 11 at 10:15 p.m. for a section of the Municipal District of Pincher Creek from Highway 505 South to Waterton Lakes National Park and Castle Mountain Resort. An estimated 150 residences have been affected. A reception centre has been set up at the Vertical Church at 1200 Ken Thornton Blvd. in Pincher Creek. Residents leaving their community should go to the reception centre or call 403-904-8016 to register. 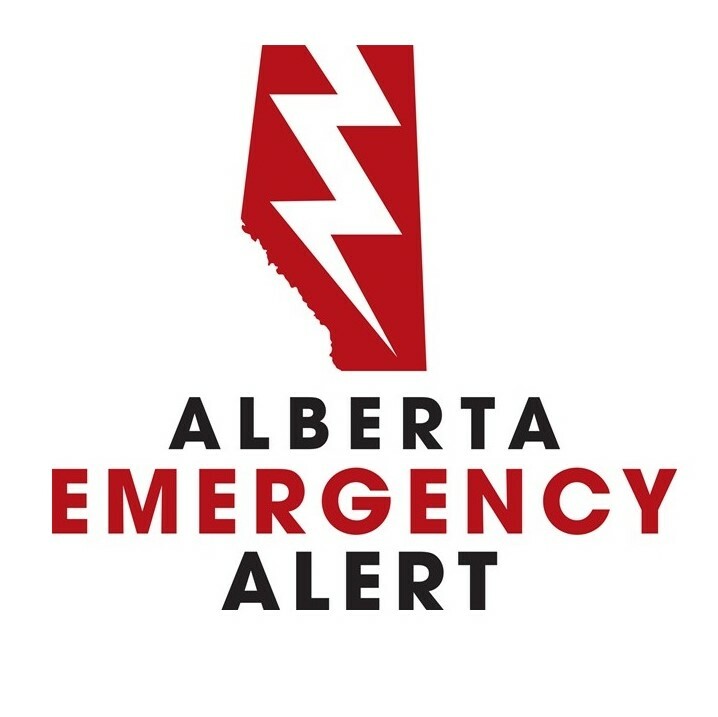 A mandatory evacuation was issued on Sept. 11 at 11:44 p.m. for the area of Cardston County between Waterton Lakes National Park and Hwy 800 from the U.S. border north to Twp Rd 40. More than 50 homes have been affected. A reception centre is located at 1050 Main Street in the Town of Cardston. Residents who are leaving and need accommodation should call 403-653-4977. A mandatory evacuation was issued on Sept. 12 for areas of the Blood Tribe in Zone 1, including Fish Creek, St. Paul’s area extending north to Russell and Many Fingers residences. An evacuation advisory has been issued for Zone 3, including north of Russell and Many Fingers residences extending to Lavern and little Chicago area. An estimated 180 people have been affected. A reception centre has been set up in the Standoff multipurpose building and residents are asked to register at the multipurpose building even if they do not intend to stay there. Approximately 500 people are under a mandatory evacuation order from their homes in Waterton townsite, parts of Cardston Country, parts of the MD of Pincher Creek and parts of the Blood Reserve. In the town of Waterton, roughly 60 structural firefighters from neighbouring municipalities, including the City of Calgary, are working to protect the structures within the perimeter of the town. Unfortunately structures outside the perimeter have been lost, including the Visitor Centre and several out buildings. Crews are working hard to protect houses and other structures there and our latest information is that they have been successful. Firefighters working within Waterton were relieved Tuesday, Sept. 12 by a second team coming in and will continue their work with 17 fire trucks on site. Within the park itself, there are roughly 135 firefighters, nine Alberta air tankers and 14 helicopters. Alberta Forestry has an additional 125 firefighters and 23 helicopters on standby, waiting for direction from the incident command team. 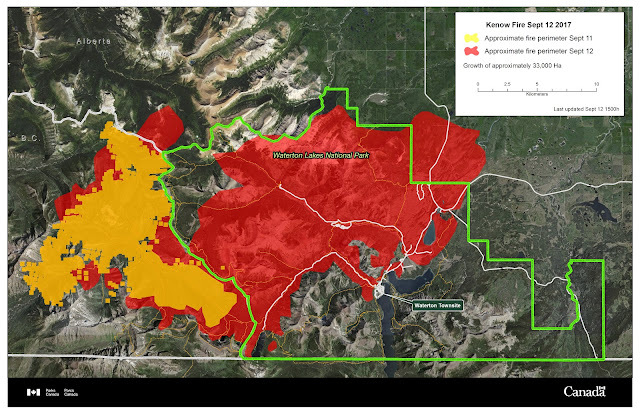 The Kenow wildfire has spread outside Waterton Lakes National Park into Cardston County and the Municipal District of Pincher Creek. High winds, high temperatures and low humidity continue and intense fire behaviour is anticipated. The Office of the Fire Commissioner coordinated additional resources that were brought in Tues. Sept. 12 to replenish and supplement firefighting efforts from Coalhurst, Didsbury, Milk River, Olds, Ponoka and fire protection companies. Other information from this update was the same as reported earlier in this thread. "On September 11, the Kenow wildfire demonstrated extraordinary fire behaviour. The fire advanced significantly throughout the night, which presented limited options for fire management. Unified Command was well prepared for the forecasted fire behaviour throughout the night. Structural fire crews remained in the townsite to protect the facilities. Extensive fire protection measures were effective in safeguarding the majority of infrastructure located in the community, and the Prince of Wales Hotel." 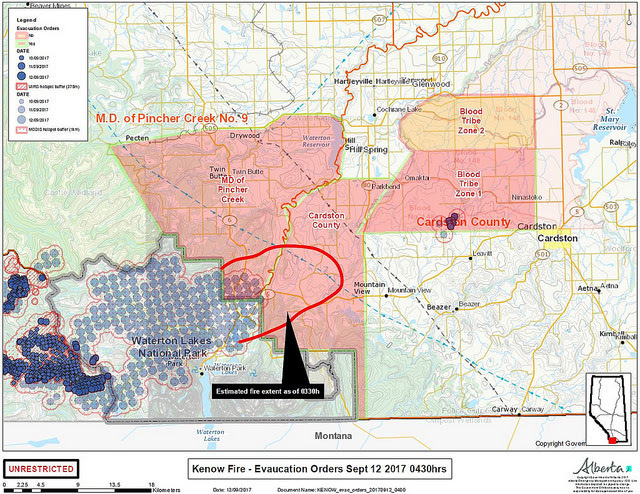 Please see the (above) updated map of the Kenow Wildfire. There have been no significant development to report in addition to the information provided today. At this time, the majority of the townsite appears to be intact. An update will follow tomorrow. ^ Video of this afternoon's press conference at the MD of Pincher Creek No. 9 administration building with Reeve Brian Hammond, Mayor Don Anderberg, and various other officials and representatives. Statement from Town of Pincher Creek Mayor Don Anderberg, September 12, 2017, 4:22 pm - The Town of Pincher Creek is NOT in a state of local emergency. Our neighbors the Municipality (MD) of Pincher Creek #9 and Waterton have declared a state of local emergency. The Town of Pincher Creek are part of a joint emergency management agency and have provided personnel to both the Emergency Operations Centre and the Reception Centre. The Town of Pincher Creek will actively continue to participate as needed. Due to the fluid nature of the wildfire event the Town of Pincher Creek and the Emergency Management Agency have actively been working on an evacuation plan. This plan would impact Town of Pincher Creek residents as well as those who have been displaced from the MD of Pincher Creek and Waterton. We will continue to monitor the situation. At this time, the Town of Pincher Creek is not in immediate danger. If circumstances dictate, we may have to declare a state of local emergency. Recommendations for horse owners preparing for possibility of evacuation (click here). Update: The Nanton Fire Dept. has had an overwhelming response to their request for donations of water, Gatorade, non-perishable snacks for Firefighters responding to the Kenow fire. They're fully stocked and ready to go and no more donations are requested. The Blood Tribe, Cardston County and Municipal District of Pincher Creek have declared local states of emergency in response to southern Alberta wildfire conditions. Overnight the fire grew by 50 per cent to roughly 20,000 hectares. A mandatory evacuation was issued on Sept. 11 at 10:15 p.m. for a section of the Municipal District of Pincher Creek from South Highway 505 to Waterton Lakes National Park and Castle Mountain Resort. An estimated 150 residences have been affected. 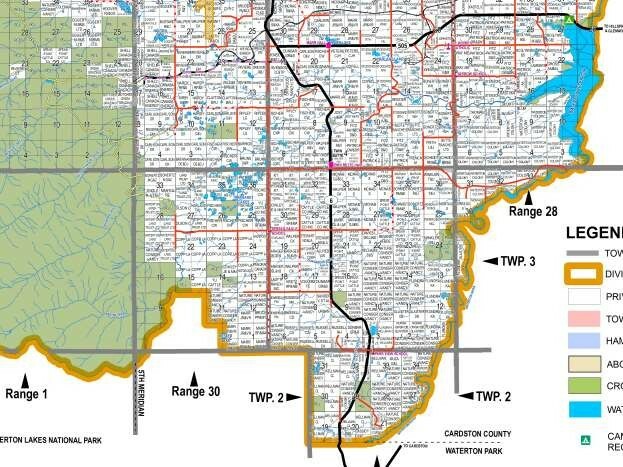 A mandatory evacuation was issued on Sept. 11 at 11:44 p.m. for the area of Cardston County between Waterton Lakes National Park and Hwy 800 from the U.S. border north to Twp Rd 40. More than 50 homes have been affected. Residents who are leaving and need accommodation should call 403-653-4977. A mandatory evacuation was issued on Sept. 12 for areas of the Blood Tribe in Zone 1, including Fish Creek, St. Paul’s area extending north to Russell and Many Fingers residences. An evacuation advisory has been issued for Zone 3, including north of Russell and Many Fingers residences extending to Lavern and little Chicago area. An estimated 180 people have been affected. A reception centre has been set up in the Standoff multipurpose building, and residents are asked to register at the multipurpose building even if they do not intend to stay there. Firefighters working within Waterton will be relieved today by a second team coming in and will continue their work with 17 fire trucks on site. Within the park itself, there are roughly 135 firefighters, nine Alberta airtankers and 14 helicopters. High winds, high temperatures and low humidity are forecast for Tuesday, Sept. 12, and intense fire behaviour continues to be anticipated. Structural protection units and resources are in place in the Waterton townsite and have worked through the night providing protection. The Office of the Fire Commissioner is coordinating additional resources to be brought in today to replenish and supplement firefighting efforts from Coalhurst, Didsbury, Milk River, Olds, Ponoka and fire protection companies. Payne Lake Provincial Recreation Area, 25 km west of Cardston, has been closed (new). A complete list of park closures is available at www.emergency.alberta.ca. Map of estimated extent of wildfire at 3:30 am this morning. Exhibition Park Lethbridge South Pioneer Park is open and available to help MD of Pincher Creek #9, Blood Indian Reserve No. 148, and Cardston County emergency evacuees looking for free RV parking. Free power and water provided. Grass areas available. Animals welcome, please bring corral. To reserve space please contact Bridget Mearns 403-393-3344. Click here for more information. At this time, the majority of the townsite appears to be intact. Extensive fire protection measures were effective in safeguarding the majority of infrastructure and facilities within the community and at the Prince of Wales hotel. Firefighters worked tirelessly throughout the night to extinguish spot fires, monitor sprinkler protection, and protect facilities. High volume pumps and sprinkler systems, in combination with planning and fuel management done in previous years, ensured the townsite perimetre held. We expect extremely dry conditions will influence fire behaviour throughout the burning period today. Additional resources have been dispatched to assist. We are expecting a downturn in weather over the next 24 hours. 9:12 am: The TOWN of Pincher Creek is NOT on evacuation notice, evacuation notices at this time are for the MD of Pincher Creek only. 8:14 am: Fortis Alberta reports "We have some customers out in southern Alberta due to the fires. Our crews will re-enter when the fire subsides and it is safe." If you see a downed power line, stay at least 10 metres away and call Fortis at 310-WIRE. Castle Mountain area: A Mandatory Evacuation Notice is being issued to the residents south of Highway 505 AND Castle Mountain Resort Residents of this area should leave the area.A reception center has been activated at the Vertical Church, located at 1200 Ken Thornton Blvd. in the town of Pincher Creek. Residents should register at the reception center or call 403-904-8016. MD of Pincher Creek residents South Highway 505 to Waterton Park and Castle Mountain Resort have been ordered to evacuate. A State of Local Emergency has been issued for the entire MD. A reception center has been activated at the Vertical Church, located at 1200 Ken Thornton Blvd. Residents should register at the reception center or call 403-904-8016. Approximately 150 residences were evacuated. 115 residents have registered at the reception center, and 40 residents registered by phone. At 4:20 am the MD of Pincher Creek said RCMP has closed Highway 6 south from Highway 505 and were securing the area. At that time the fire was burning within Township 2, Range 29 and was heading NE along the MD boundary. The response includes 11 personnel, 2 engines, 1 tender and a command unit, according to the MD's 4:20 am report. Pincher Creek Emergency Services is continuing to assess the situation and has unified command with Alberta Agricultural and Forestry. The Pincher Creek Humane Society (PCHS)/SPCA is supplying the evacuation centre with kennels,blankets etc. and is establishing a list of temporary foster homes and also a temporary facility to house animals. Please contact 403-632-9760 for assistance. They are asking for additional kennels that can be donated or loaned to PCHS for the duration of the situation. The MD of Pincher Creek is making arrangements with Country Vets and the Humane Society to take small pets. 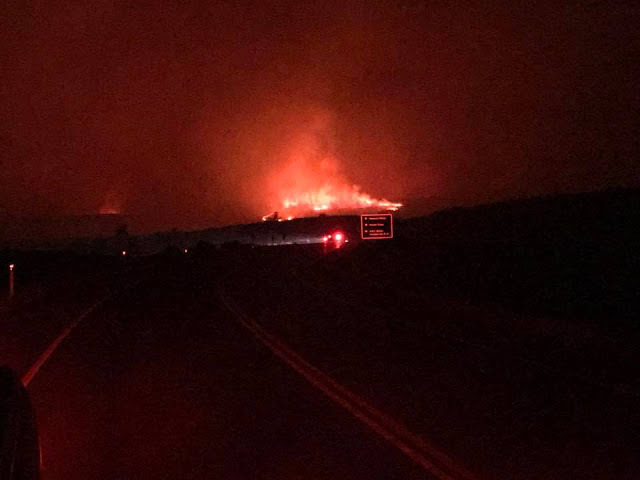 Cardston County declared a State of Local Emergency and ordered the evacuation of all residents of all areas between Waterton Park and Range Road 281 (Highway 800) from the U.S border north to Township Road 40. The order was issued at 11:44 pm, September 11. An Evaluation Centre is located at the Town of Cardston Civic Center (67 - 3rd Ave West). Blood Reserve Zone 1 was ordered evacuated at 4:57 am today, September 12. The evacuation area includes the Fish Creek, St. Paul apartments north to Russell, and Many Fingers homes. Residents in Zone 3 (north of Russell, Many Fingers residences extending to Lavern and little Chicago area) should prepare to evacuate on short notice. Evacuees are directed to go to the Standoff multipurpose building and register. Contact the Blood Tribe Police if you have transportation concerns.